How often should I use my cow call? 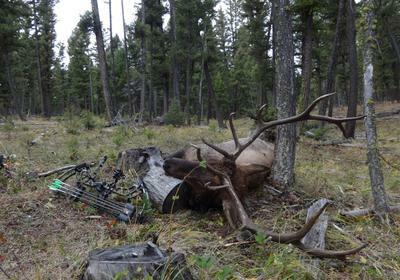 Here are some questions from a new elk hunter. Since there are no pat answers, I'll do my best to respond below. "How often should I use my cow call? I am new to the sport of bow hunting elk and my question is how often should I use my cow calls? I have been told to be careful and not over use them and I have been told I can use them to sound like a entire heard. How much is too much and not enough? Specifically how much mewing and chirping is ok and how many times can I use a long rang estrus call before I get an answer?" The bottom line is, 'it all depends on the situation'. Understanding and communicating with elk to set up a "close encounter of the herd kind" is possible. Most hunters don't realize you actually CAN understand what elk are saying, as well as pick up on the mood of the herd or lone elk. This year (2016) was a bit of a quiet year, compared to the usual peak of the rut cacaphony we are used to. I hunt alone and had to be even more watchful for quiet bulls sneaking into my calling scenarios than usual. Since it was quieter than most years, I gave up on raucus advertising and breeding sequneces that usually work up local elk. It wasn't working in my area. 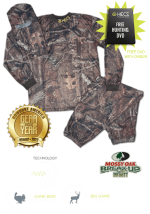 (See ElkNut Outdoor Productions.) 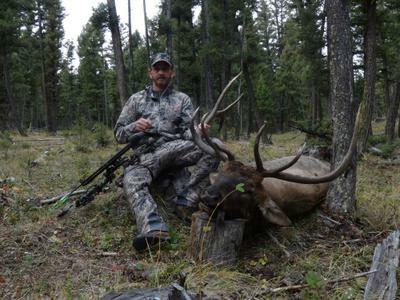 The third week of September I started focusing on "cold calls" in areas that I knew held elk. 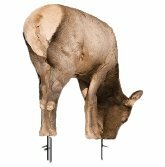 Over the next week I drew my bow four times and finally let a lethal arrow go on this bull. Sometimes cold calls of a cow sounding off for attention, along with careful positioning of the caller and hunter (I hunt alone), pays off. This year proves, once again, that there are no set rules on what kind of calls will work. Get to know what they are saying and tell them what they want to hear! ElkNut Outdoor Productions, provides the knowledge. You'll have to do some studying to learn the language. And practice! Then, tell them what they are in the mood to hear! Any other comments on this topic?